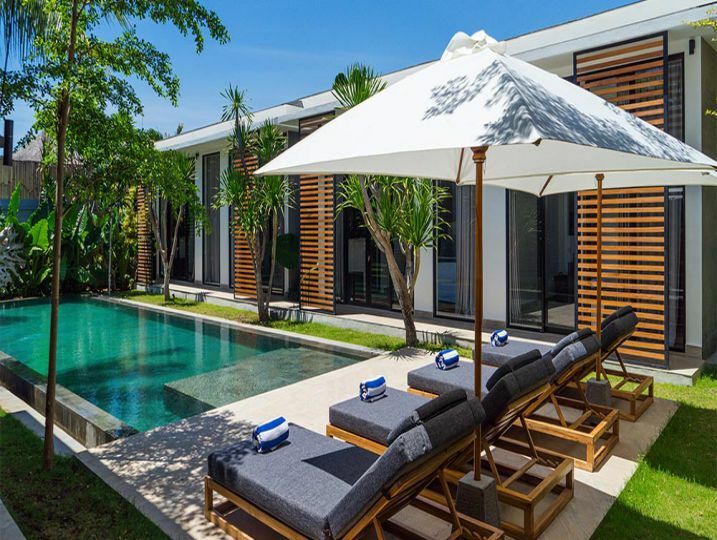 Four-bedroomed Villa Vida is a stunning beachside haven one-minute walk from a gorgeous natural lagoon. 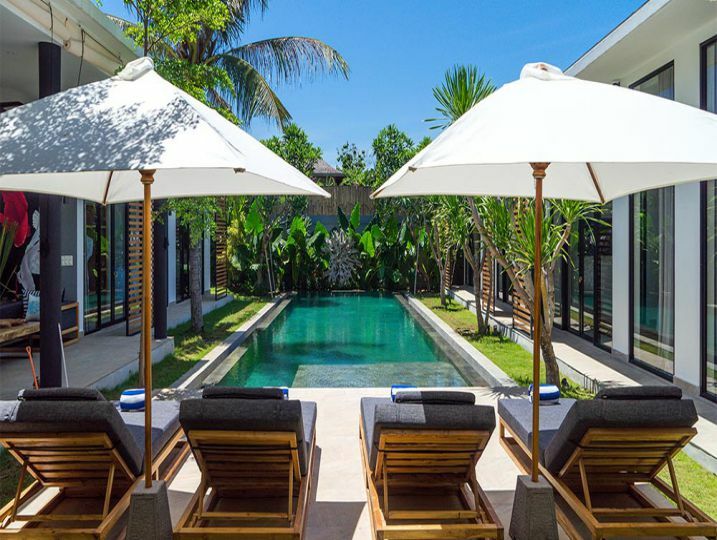 Perched between Berawa Beach with its laid-back surfer vibe and Batu Belig with its host of glamorous beach clubs, Villa Vida is situated in one of Canggu’s most sought-after locations. 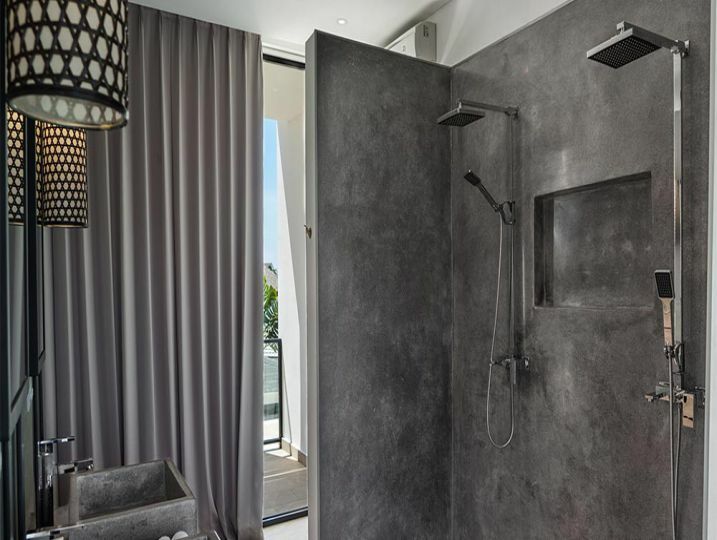 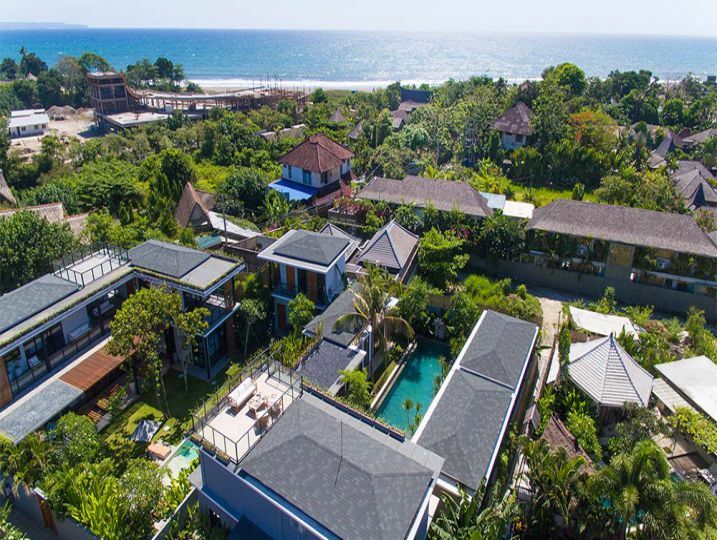 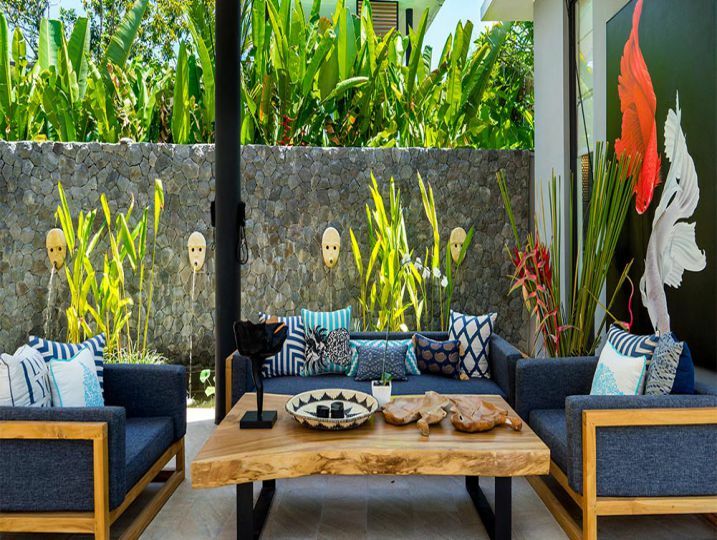 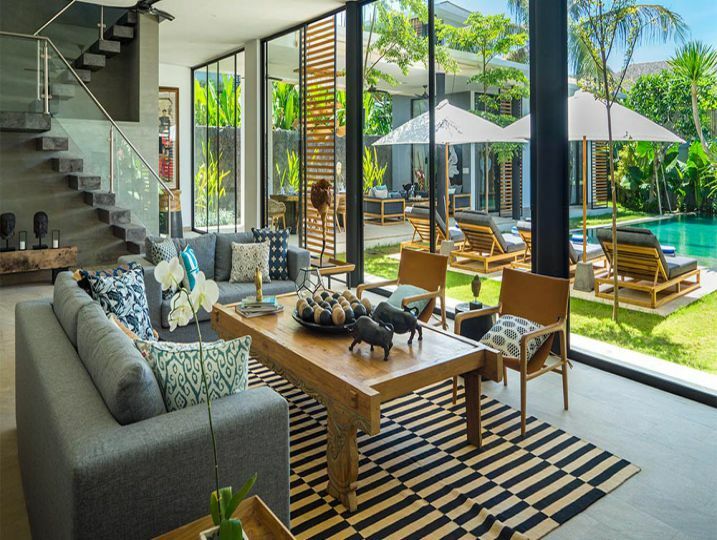 Villa Vida is part of the Canggu Beachside Villas, a beautifully designed complex which, together with five-bedroomed Villa Gu and three-bedroomed Villa Boa, can sleep up to 24 guests. 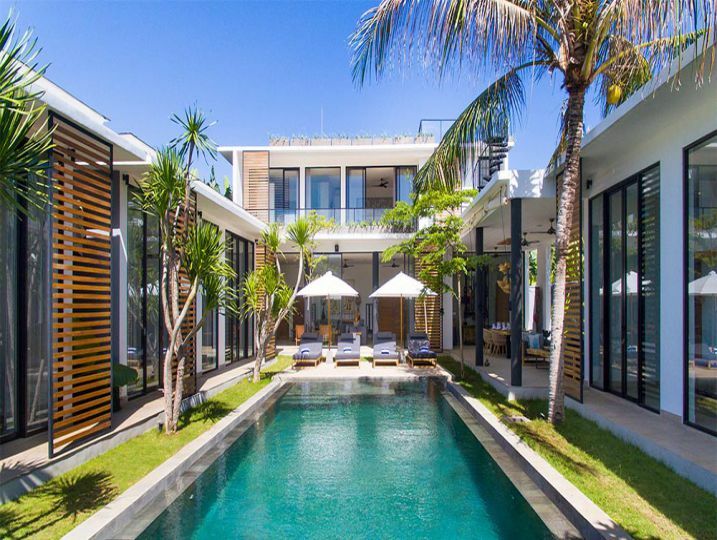 Privacy is in no way compromised however, with each villa sweetly secluded within its own extensive walled gardens. Villa Vida is where contemporary Balinese ‘chic’ meet old-style Malibu glamour with its striking indoor lounge and dazzling outdoor dining area. 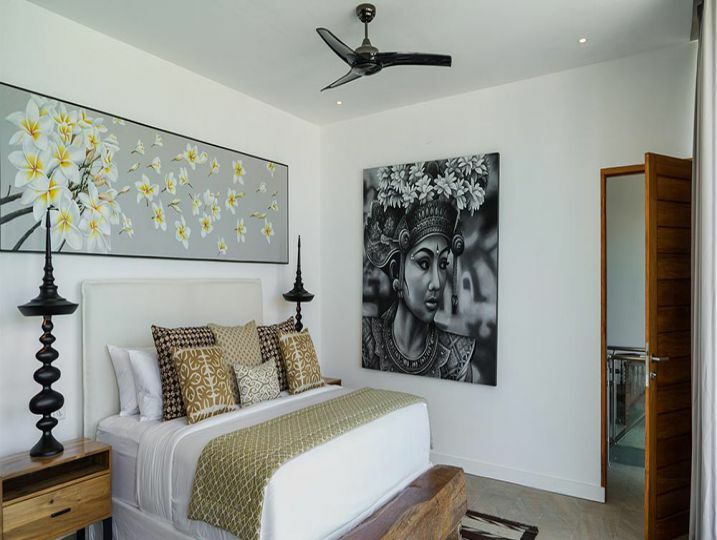 There’s a very large master bedroom on the first floor with a king-size bed, ensuite bathroom and lovely views over the surrounding area, as well as three poolside guest bedrooms with split king-size beds and ensuite bathrooms. 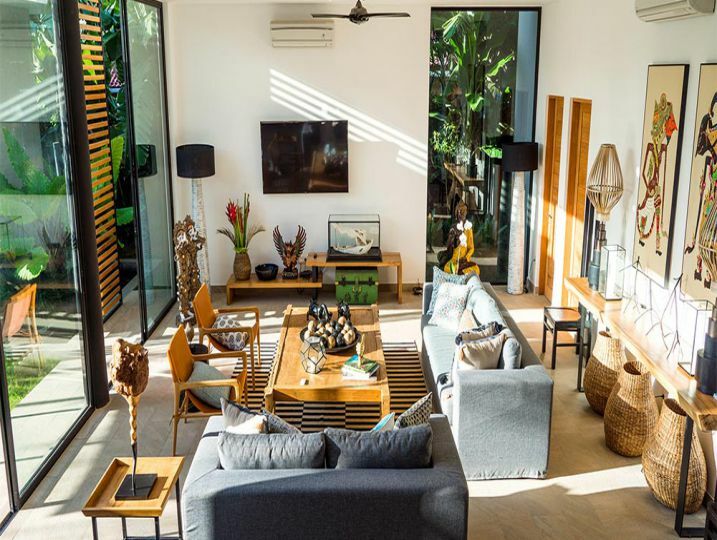 The villa is surrounded by a tropical garden, cleverly designed to induce a feeling of being enveloped by lush green vegetation, even when you’re indoors. 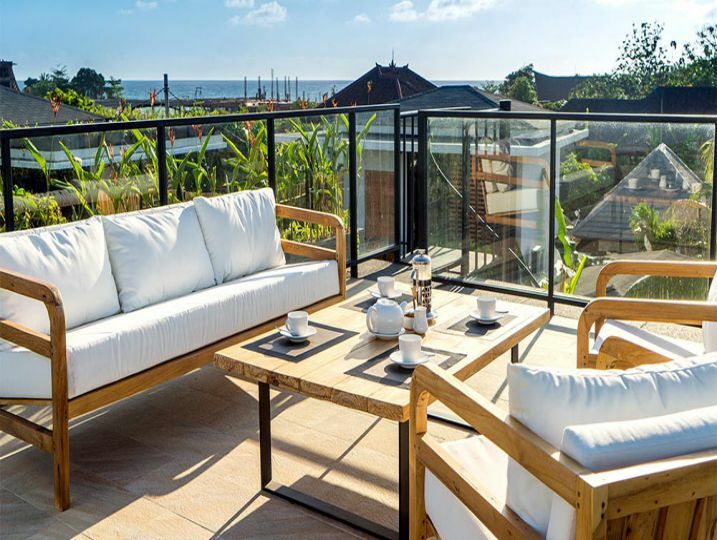 There’s plenty of choice for relaxing, socialising or hanging out with a good book or a cocktail in hand by the 15 x 4 metre pool, on the roof terrace, or at any of the outdoor seating areas. 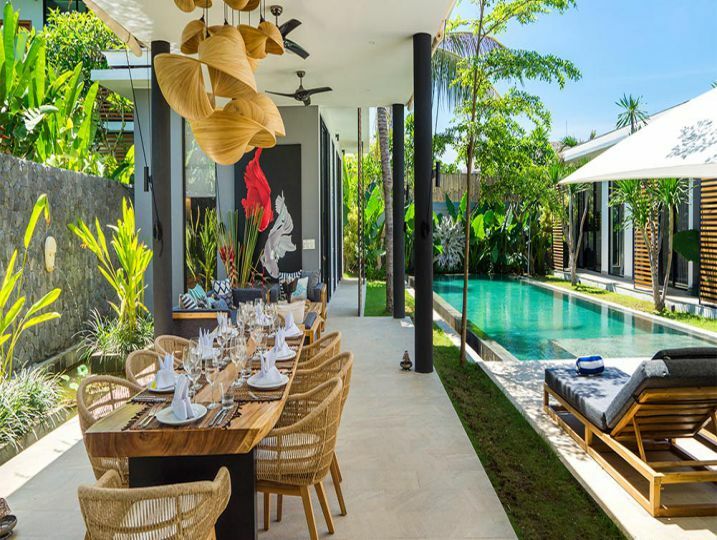 Being so close to many of Canggu and Seminyak’s best eateries means most of our guests prefer to dine out, which is why Villa Vida does not employ a private chef. 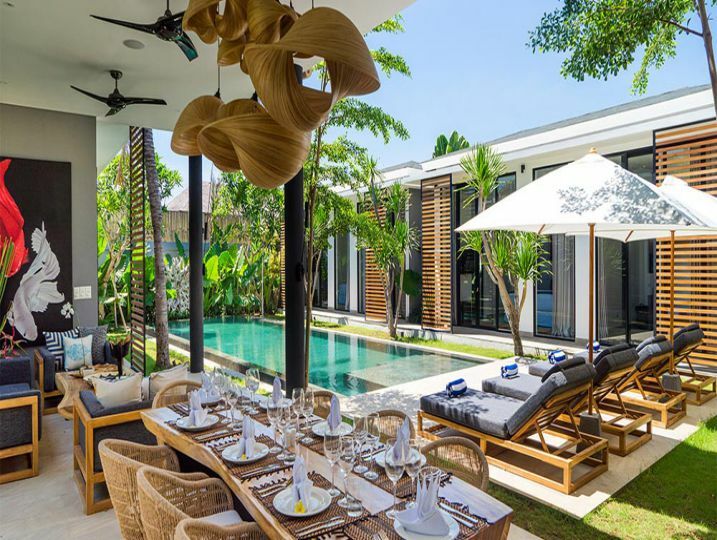 Should you prefer to have a chef on-site, this can easily be arranged for an additional charge. 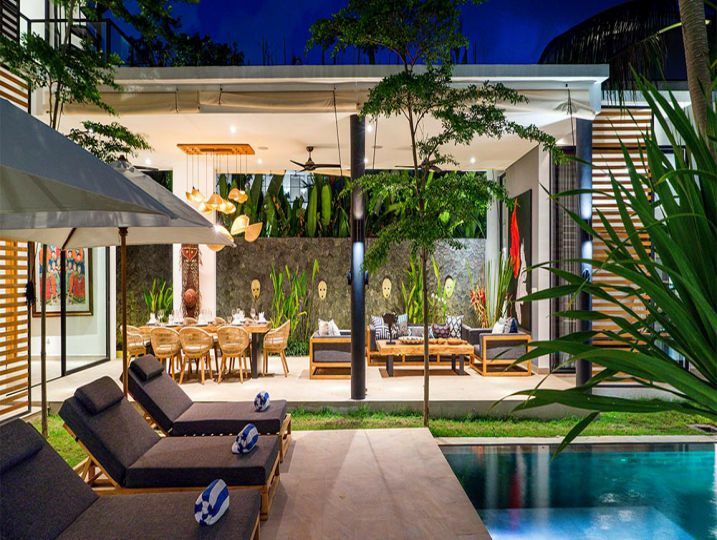 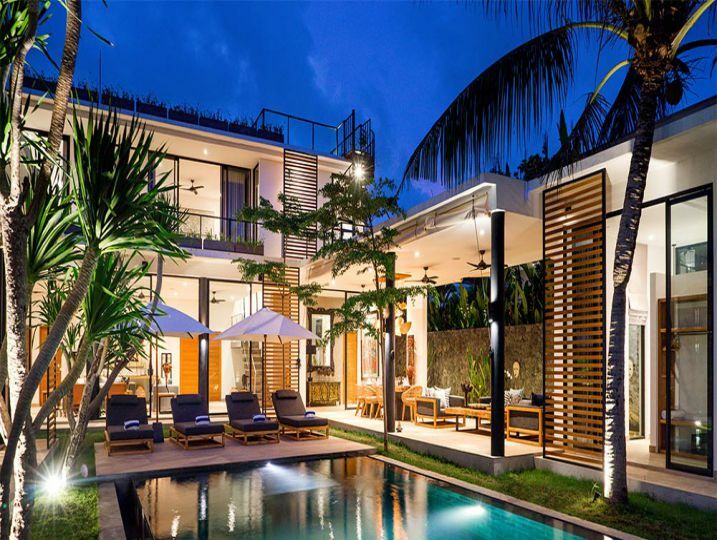 Canggu Beachside Villas – Villa Vida is available for selected dates.